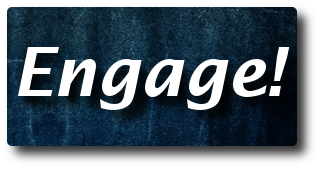 Welcome to Day 20 of the 21 Days to a More Engaging Facebook Presence series. The purpose of this series is to help you build a deeper relationships with your customers so you can develop content that people will love interacting with, and products they can not live without. The focus is not so much on, “Get more fans” because first, having a ton of fans that don’t give you a ton of feedback is pointless, and secondly, when your focus is truly on connecting and deepening your relationship with your readers, “more fans” is a natural by-product of that connection. And if you’ve been doing the things we’ve been talking about in the series so far, you should be seeing a healthy growth in both your feedback, and your fan base. Today, we’re going to talk about using your Fan page as an actual community platform. Now for some of you this might not be a problem. You actually have a facebook community. You have people interacting with each other on your page every day. But if you think that having a large group of people who interact with your stuff is community, keep reading, because today is really for you. Now in the online marketing space, the word “community” is thrown around very loosely. The problem with this statement is that it’s not an accurate representation of what a “community” really is. A community isn’t someone putting out a message and having a bunch of people telling them how awesome the message is , that’s really more of an interactive broadcast. Is a group where members share with each other, they help each other out by exchanging information in a lateral way. They entertain each other, and work together towards a common goal. By design, Facebook pages are a little more difficult to encourage lateral communication, because in order to spark conversation you have to post something to show up in the news feed. But if you’ve been doing the stuff we’ve been talking about over the past 20 Days, you will have been essentially “training” people to come to your page to check for new stuff. And if you’ve made your page a place that is “conversation friendly” i.e not all about you looking for praise on your most recent article, a true community will start to emerge. When fans start interacting with each other in your threads. It’s a place where people post to your wall, and others respond. It’s a place where people can share pictures. And links to relevant articles, hence I’m saying “relevant” and not spam. So what’s the key to developing this sort of community? Starbucks Mission is to be the premier purveyor of the finest coffee in the world while maintaining our uncompromising principles as we grow. We always figured that putting people before products just made good common sense. Our relationships with farmers yield the highest quality coffees. The connections we make in communities create a loyal following. Our ability to accomplish what we set out to do is based primarily on the people we hire – we call each other “partners.” We are always focused on our people. Which leads us to the second key to community – it’s all about them. In looking at just a handful of good “Facebook communities” I noticed something that was very telling. Now this isn’t scientific by any means, but when I searched for the word “you” on a handful of pages, the pages that fit our definition of “community” had more occurances of the word. Starbucks had 14 “you” mentions, Oreo had 8 “you” mentions, Social Media Examiner had 34 “you” mentions, and I’m fairly certain that if you were to try this test on other pages, you’d probably see something similar. You’ll attract people who are dedicated to the same cause. And once you’ve helped people solve their problem, you’re no longer one person, you’re the leader of an army. And that’s it, that’s the end of Day 20 of 21 Days to a More Engaging Facebook Presence. And if you’d like to receive the other videos in the 21 Days to a more Engaging Facebook Presence series, sign up via email below!